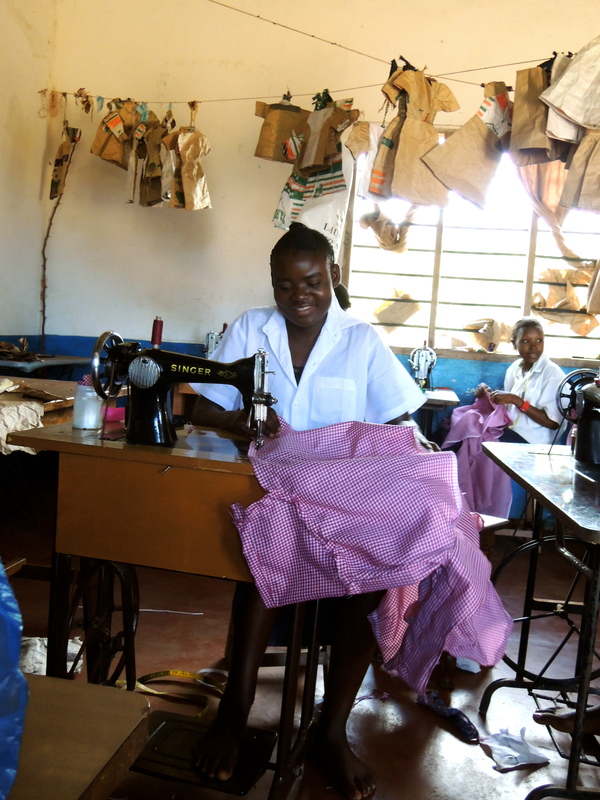 Elimu partners with Heri Ministries Sewing College to assist teenage girls from difficult backgrounds and equip them with income generating skills and a sewing trade. They return to their homes ready to run a small business and become independent members of their communities. Many graduates have been able to help provide for their families and educate younger siblings. 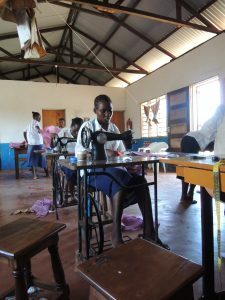 Heri Ministries Sewing College was established in 2002 by a Kenyan woman with with the goal of providing more than just technical skills. The school offers a positive, Christian-based learning and living environment and personal counselling. In Kenya and especially in the coast where Malindi is situated, many youth suffer from low employment and debilitating poverty. The surrounding rural communities practice a variety of detrimental customs including marriage of girls as young as 12, bride price (where a family benefits from a valuable gift of cows and cash in exchange for a daughter) and witchcraft (which ostracizes and terrorizes the victim). Some tribal communities also practice female genital mutilation (also known as female circumcision). The program provides technical training helping students to become more valuable and more independent members of their communities. They become role models to other girls who see the benefits of furthering their education and starting a business. The course normally takes two years and prepares students for the Kenya National Trade Certificate exams. Students also learn valuable life skills, as well as business skills and how to maintain a foot-pedal operated sewing machine. Students of Heri Sewing Project come to Elimu Resource Center on a weekly basis to learn how to use digital technology to enhance their fashion designs and sewing skills. They research fashions around Africa using the internet, download YouTube video tutorials on pattern-making and gain exposure to new designs and creatives ideas. Their digital skills enhance their competitive edge in the market. Heri students showcased their new hi-tech skills and fashion creativity with our first-ever fashion show hosted at the college. We are looking for new partners to help us take our fashion show out to the community involving more youth and connecting with the education community at large. We welcome your ideas and funding support to make this a reality in 2017. Contact our founder for details: nina@elimu.ca. Help us sponsor a student to Heri Ministries Sewing College. Two years school fees and boarding expenses plus a sewing machine upon graduation cost $1300. You can support us with a sewing machine for $300. With a donation of $20 you can help us provide an exam kit (scissors, needles, thread, bobbin) or a selection of fabrics for one student to practice her skills.